This is part 3 of my northwest Manitoba grain elevator trip. To start at the beginning, go here. 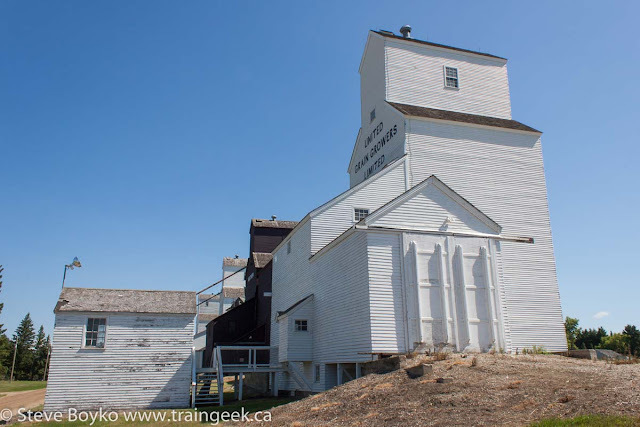 This post will cover the section of my trip from Dauphin to Inglis, on June 27, 2015. I arrived in Dauphin at about 8:15 AM. Driving downtown toward the train station, I noticed CN 853 was just leaving the town... very slowly. The station is quite impressive! Back to that soon. 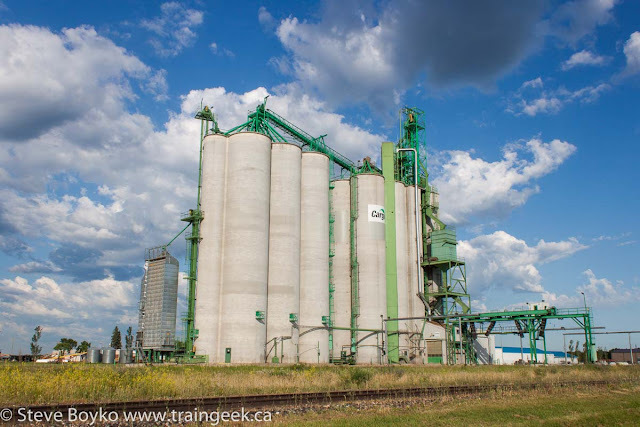 I drove over to the sole remaining grain elevator in Dauphin, a Cargill concrete grain terminal. I think CN 853 must have lifted a few cars from here as it had more grain cars on it than when I saw it in McCreary and Makinak. I returned to the Dauphin train station to take a few photos. The sun was dodging between clouds so I had to wait for the right opportunity... that's the story of most of the day, really. It's quite an impressive station. 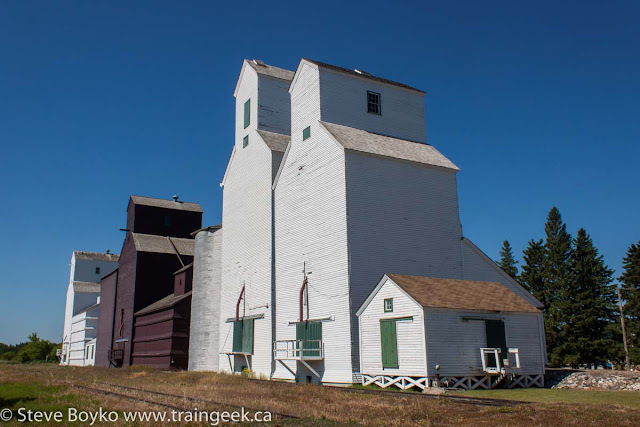 It was built by the Canadian Northern Railway in 1912 and is now a heritage building. 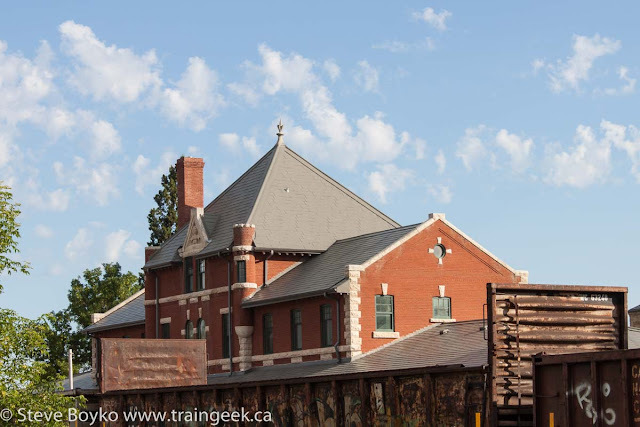 There are a few different businesses and organizations in the station, including a railway museum. Unfortunately it was too early to be open when I was there. 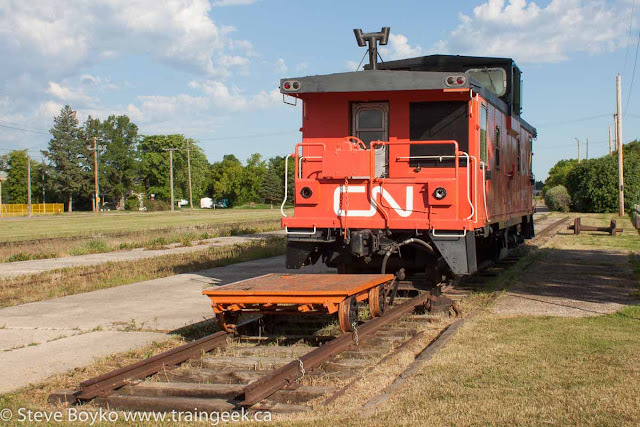 Caboose CN 79727 is located beside the station. I hit the road west toward my major destination, Inglis. On the way I stopped at two elevators. 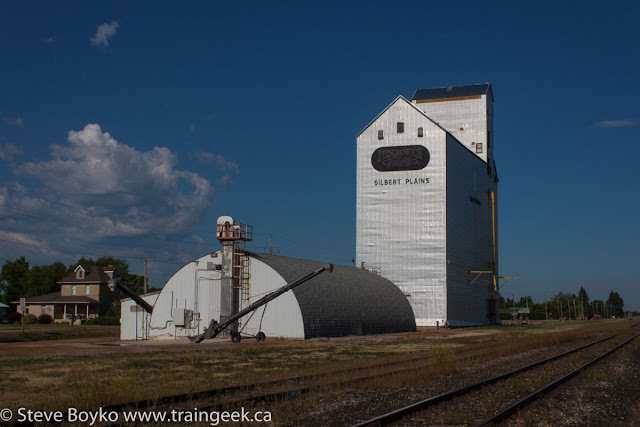 The first was at Gilbert Plains. The elevator is lettered for "Federowich Farms". I have no idea if the elevator sees rail service or is in use at all. 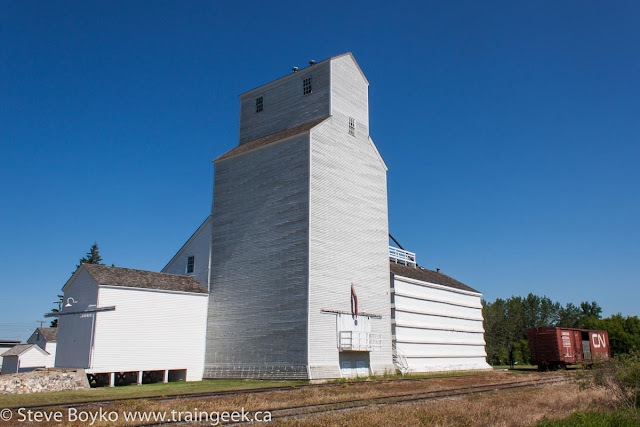 A few miles down the line, we find the Parrish and Heimbecker elevator at Dutton. 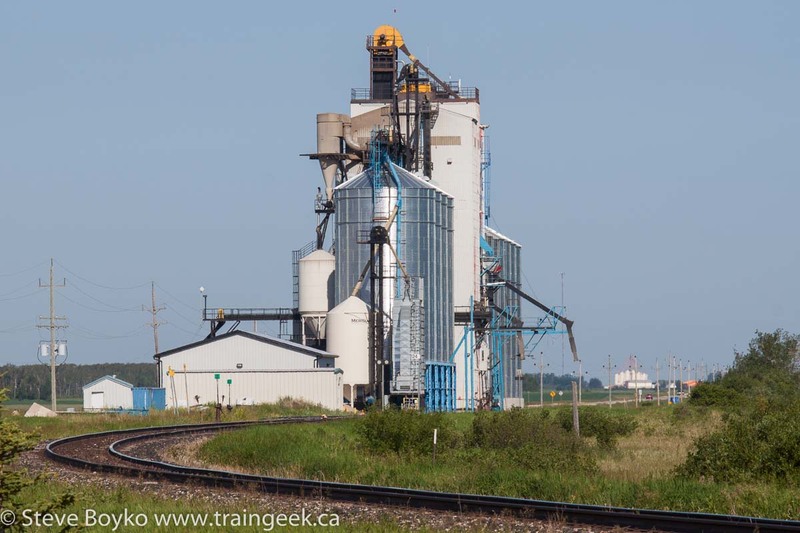 This elevator is in active service and is often worked by CN 853/852. Since I arrived ahead of 853, I didn't see it doing its thing. I was on a schedule - no time to wait around! These cows were unimpressed by my presence. 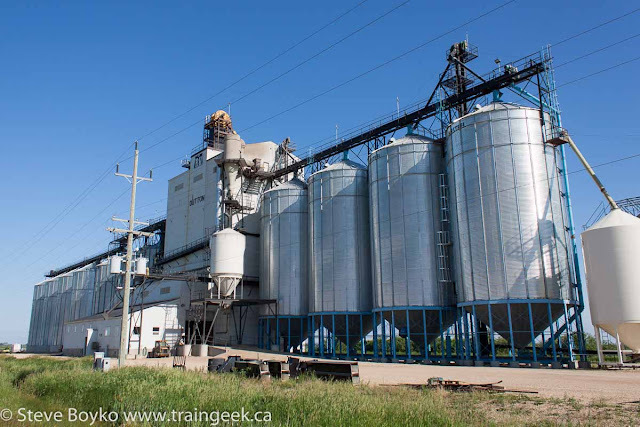 The Dutton elevator has a LOT of bins. 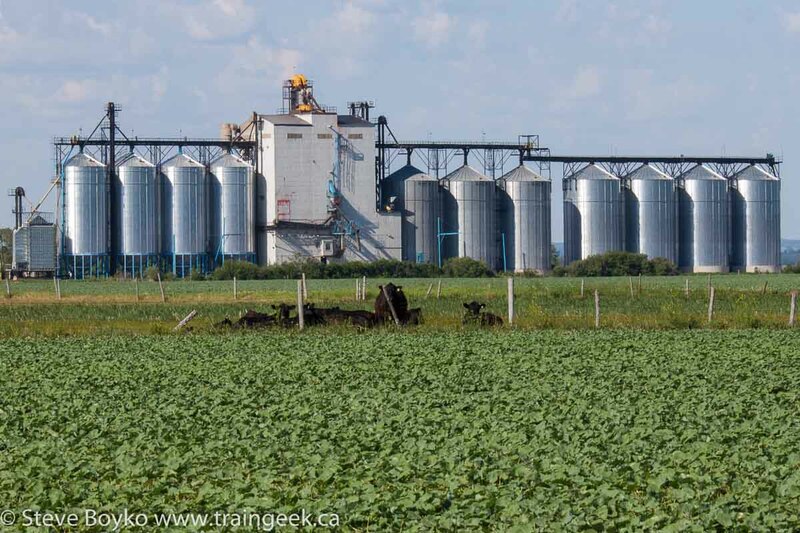 It has a total capacity of 16,500 tonnes which is quite large compared to Gilbert Plains, for example, which has a capacity of around 4,500 tonnes. This large capacity allows it to survive in the era of concrete terminals. 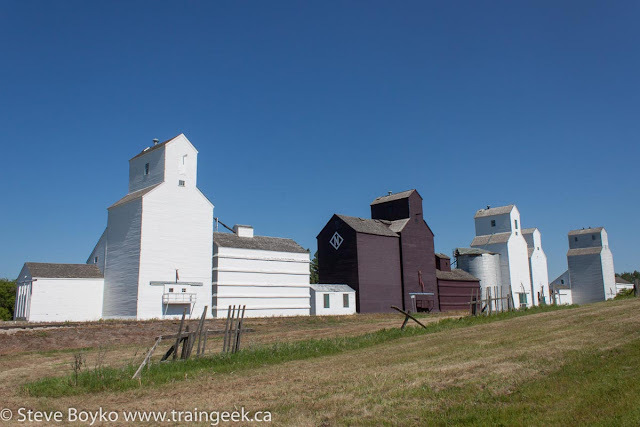 I arrived at the town of Roblin before heading south toward Inglis. Roblin has a train station that is now the home of The Starving Artist, a cafe/bistro/art gallery. I looked inside for a couple of minutes and it looks very neat! 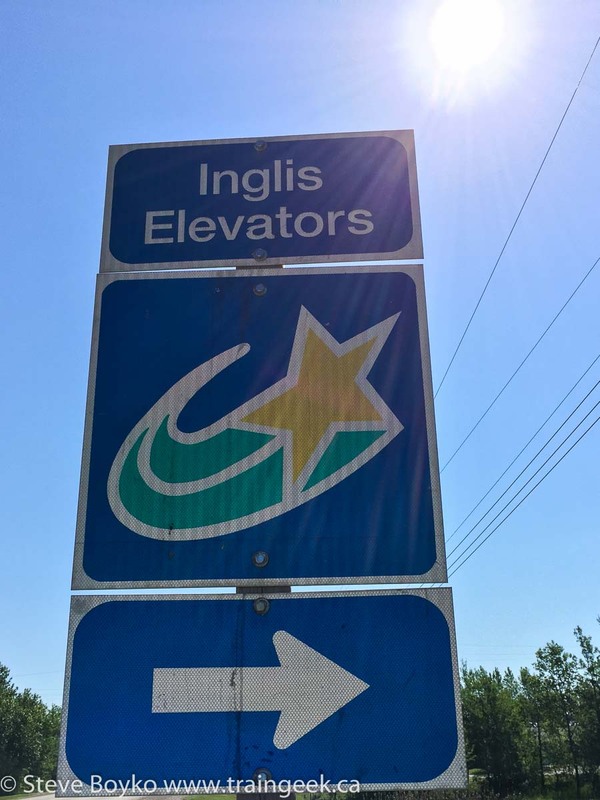 For those who don't know, Inglis hosts the only intact elevator row in Canada. Warner, Alberta used to be the other one until the demolition of two of its elevators last fall. 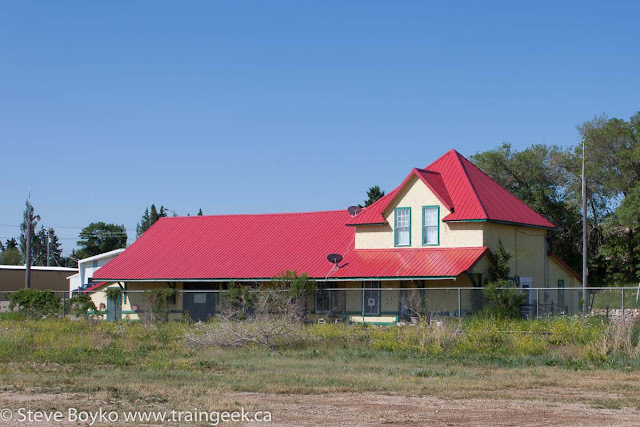 Fortunately Inglis is a National Historic Site so it is protected from demolition. I've always wanted to visit Inglis and this day I did. Inglis was at the end of the CP Russell subdivision, which extended 23.9 miles from Binscarth to Inglis. Originally the subdivision only reached to Russell but it was extended to Inglis in 1922. Grain shipments continued for 73 years until July 1995, and a notice of discontinuance was issued on March 31, 1996 for the entire subdivision. 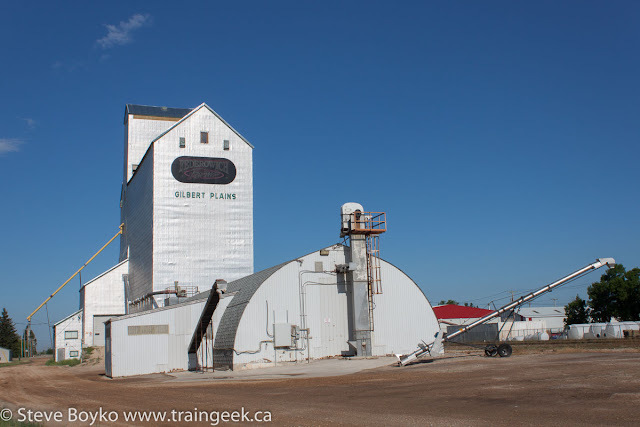 The UGG (United Grain Growers) elevator seen at left was built in 1925 to replace the original that burned down. Note its balloon-type annex at right and the extended driveway protruding from the left. 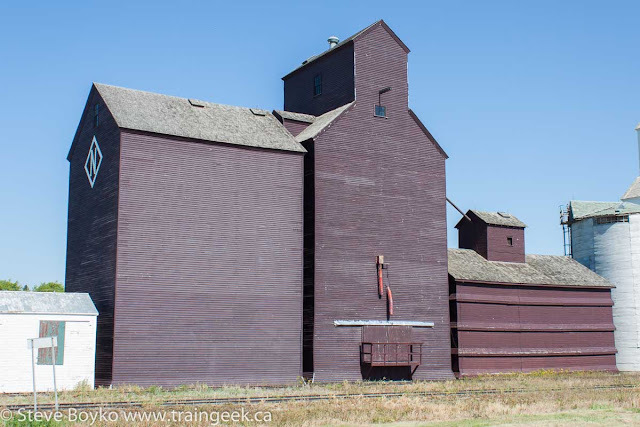 Next up is the National grain elevator, built by the Northern Elevator Company sometime between 1920 and 1922. 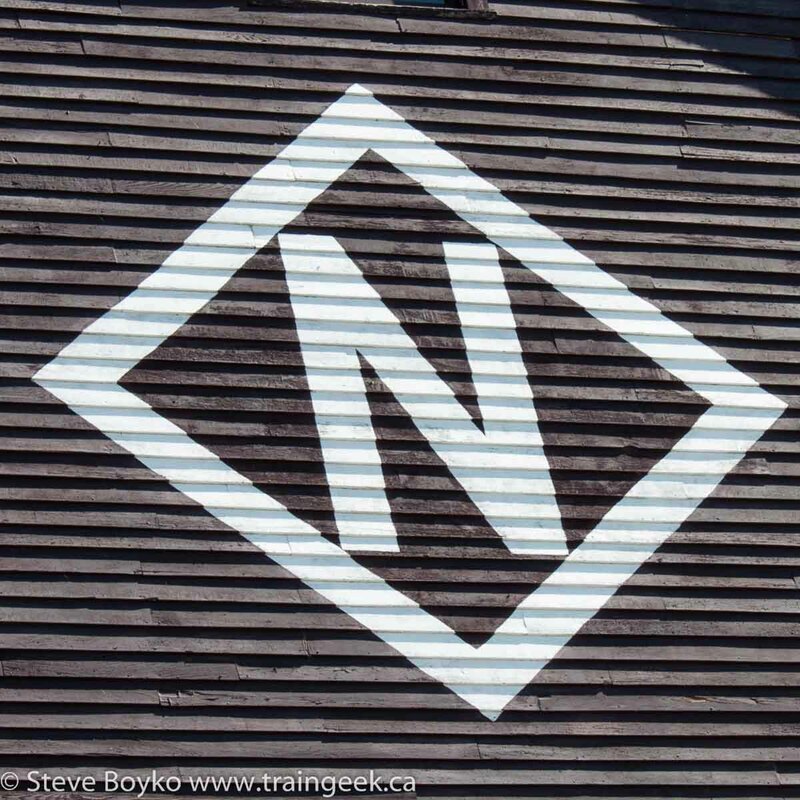 It became part of National in 1940 and still bears the National logo. 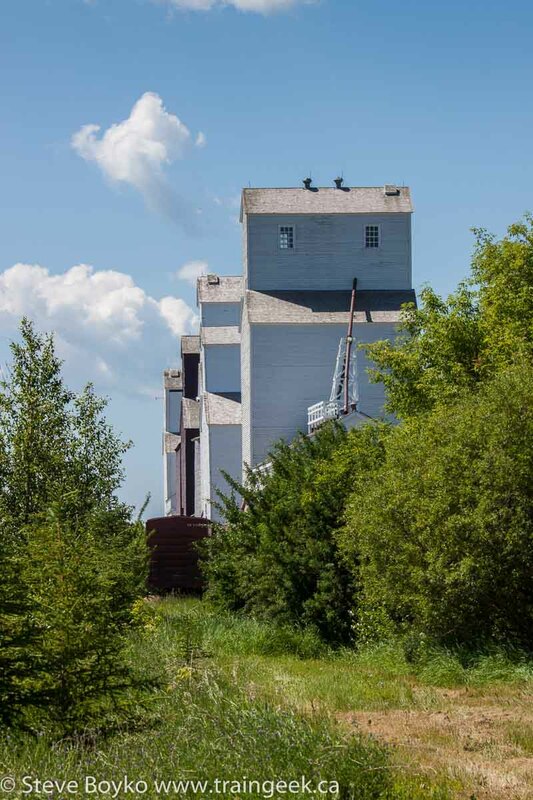 The elevator was purchased by Cargill in 1974 but was acquired by N.M. Paterson who operated it until its closure. The original 1930s office is still there. The elevator has two annexes, one crib-style (the tall one on the left) and one balloon-style. There are two Reliance grain elevators in Inglis. 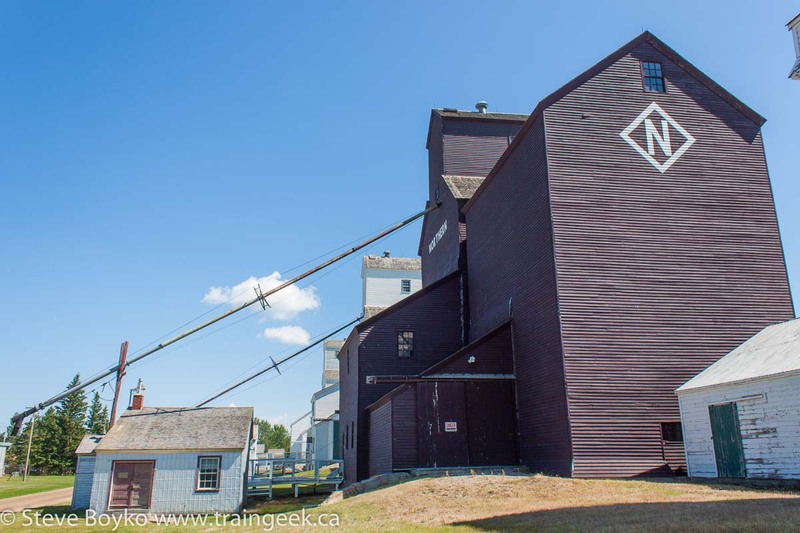 The smaller elevator was built by Matheson-Lindsay in 1922. 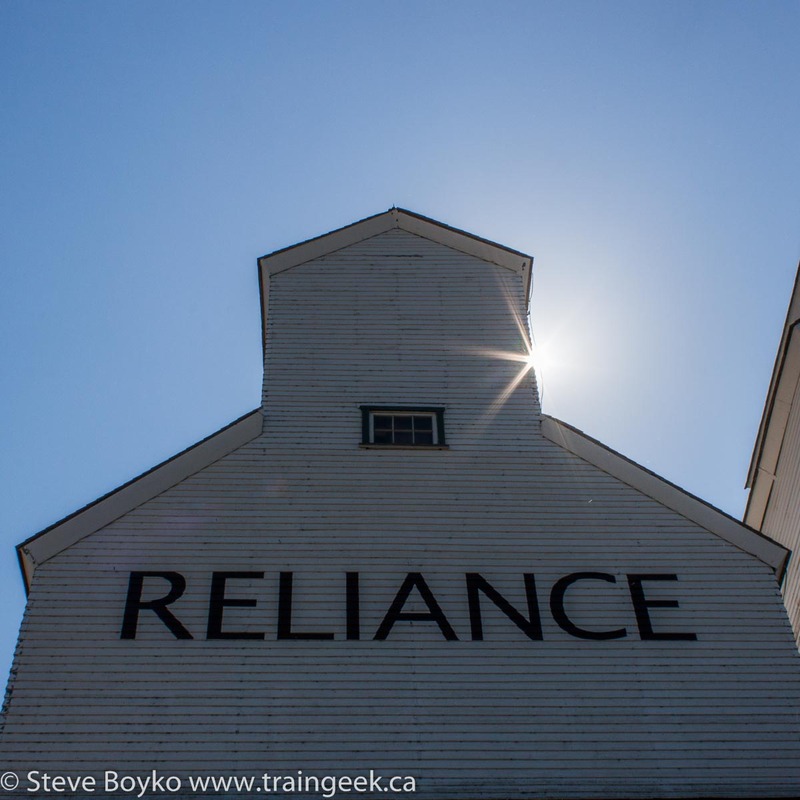 It was purchased by the Province Elevator Company in 1928, and that company became Reliance in the 1930s. The larger elevator was built in 1941. Finally, the N.M. Paterson grain elevator completes the quintet of Inglis grain elevators. 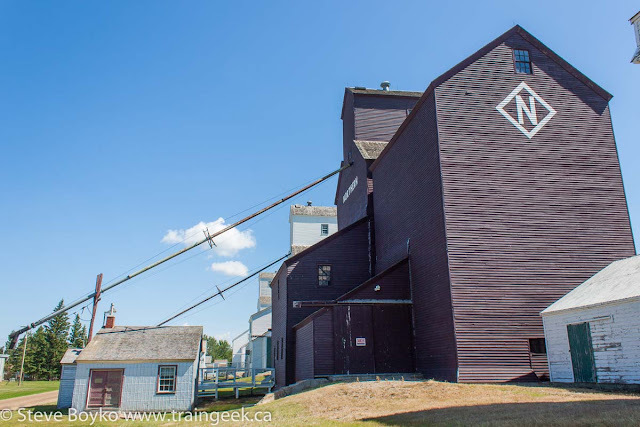 The Paterson elevator was built in 1922 and is open to the public for guided tours, along with the first Reliance elevator. 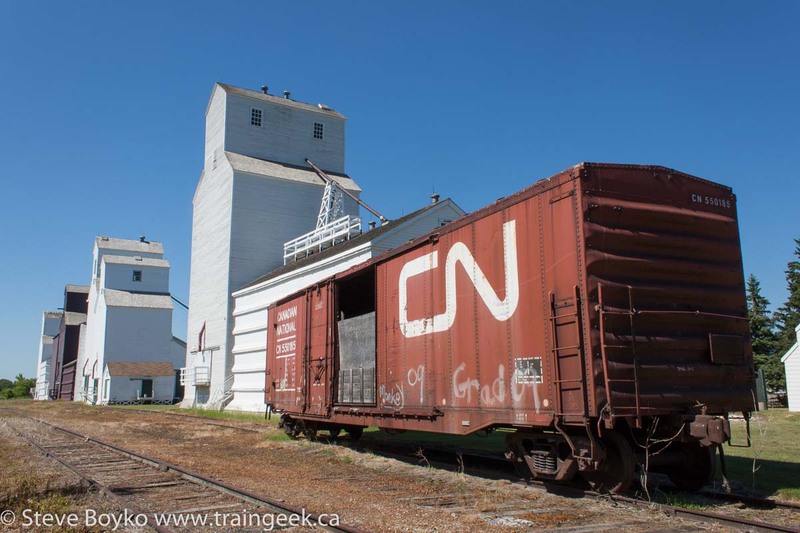 You've probably noted the CN boxcar. This is exhibited to show how grain was originally carried in boxcars prior to the dedicated grain hoppers of today. Note the grain door used to hold the grain in. So that was Inglis. I highly recommend you explore their web site, and make the time to visit the site in person! One parting look at Inglis before we head north toward Swan River and beyond. 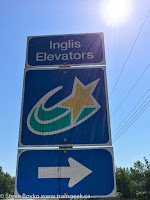 PS - I have posted some interior photos of the Inglis elevators. 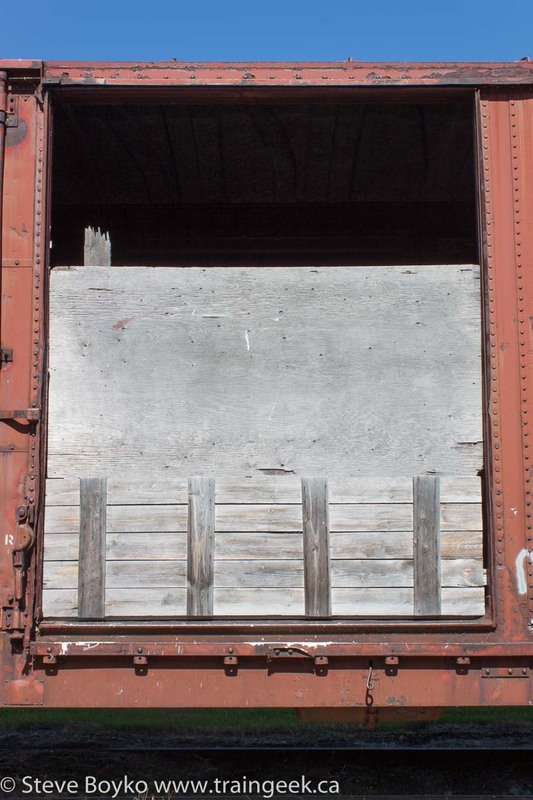 Inglis' fifty-foot boxcar kind of threw me, but by the time they obtained one, the 40-footers would be tough to find! Thanks, Eric. I was kind of taken aback too but I'm sure the 40-footers were all gone by then. judging by the length and height of the elevators loading spouts it looks like they only ever loaded boxes. they would need to be quite a bit higher to load covered hoppers. I think you're right, Brad. Good observation! That is a great set of photographs. I like the modern elevators, they have a sort of sci-fi look to them. Thanks for sharing the shots! 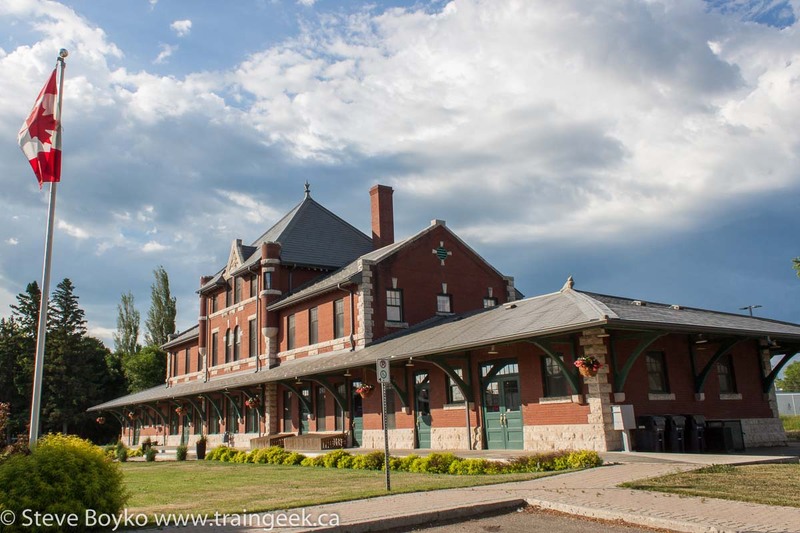 Nice work, the Dauphin station is amazing Steve! Thank you, Chris! 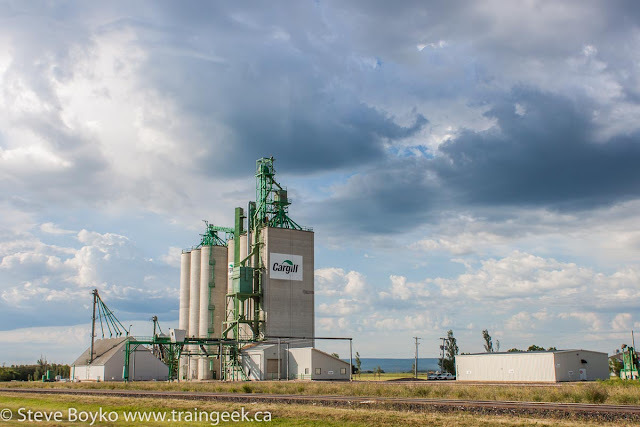 Clearly the Canadian Northern had big plans for Dauphin.